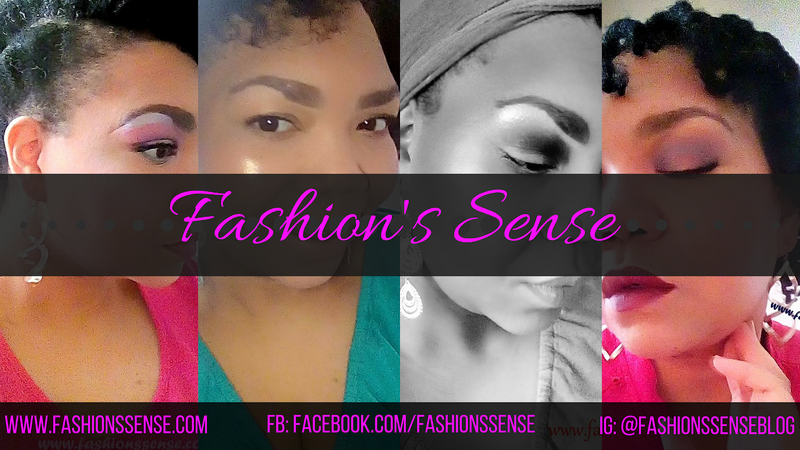 Fashion's Sense: Review: Is Christie Brinkley's CLOSE UP Primer Photoshop in a Tube? 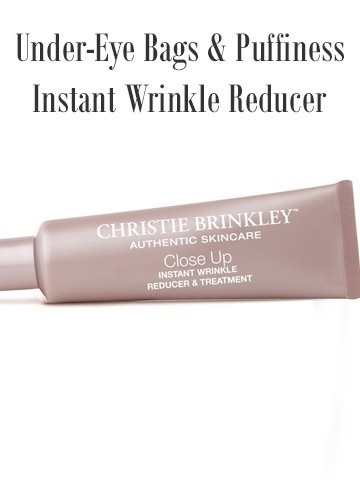 Review: Is Christie Brinkley's CLOSE UP Primer Photoshop in a Tube? At some point in our lives lines and wrinkles are going to take up residence on our faces. It is a part of getting older. There are anti-aging skincare treatments like retinol, microdermabrasion, chemical peels, etc., that work to reduce the appearance of lines and wrinkles. However, these treatments take at least two weeks for even small results to show. There is an anti-aging product that claims it can give instant results in reducing the appearance of fine lines. That product is CLOSE UP Primer by Christie Brinkley Authentic Skincare. 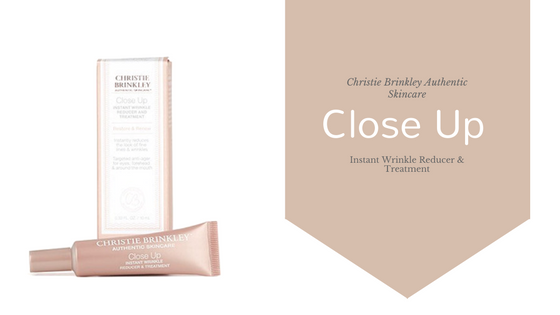 What is Christie Brinkley Authentic Skincare CLOSE UP Primer? I have crow's feet. I also have a forehead crease because the skin of my forehead is loose. In addition, I like to raise my eyebrows a lot, which causes that folding or creasing to occur. There are also tiny joker-esque laugh lines trying to stake claim on my face. 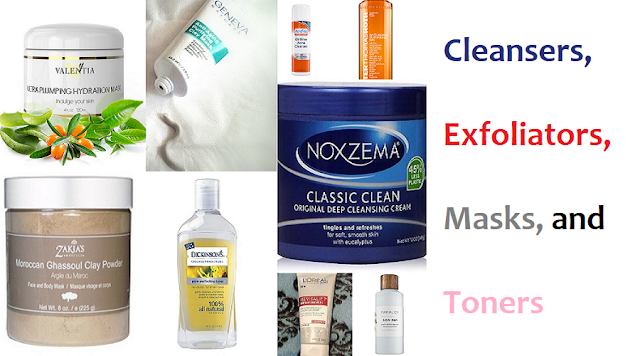 No physical sensation of skin tightening or firming was experienced. However, the appearance of the skin in the areas CLOSE UP was applied to looked flat and gave the illusion that it was tighter. The forehead crease, while still visible, looked tighter. It’s appearance more like a fine line than a full-on crease. My eyes looked about the same, as did the corners of the mouth. The fine lines around the mouth were barely noticeable. The wording of the product is tricky. It implies that your skin will physically tighten, temporarily. This did not happen for me. What all of that ambiguous wording is saying and what it actually does is visually "tighten" the areas you apply CLOSE UP Primer to. CLOSE UP Primer also reduces shine/sheen in those areas, which also helps to soften the look of those facial lines. That was impressive. It really does seem like CLOSE UP Primer is (a little bit of) Photoshop in a tube. Who wouldn't want to look younger both on film and in person? 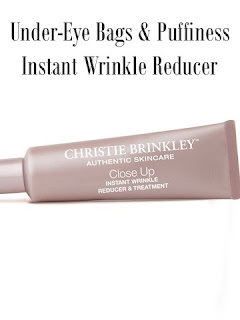 The 0.33 ounce tube costs $79.95 on the Christie Brinkley Skincare website. This is pricey. However, it is a great splurge item to have on hand for when you have a big event to attend or are having your picture taken professionally. Which would you prefer? To just look younger in your pictures or look younger in both pictures and face-to-face? Disclosure: I received this product free via Massive Sway, formerly iFabbo, in exchange for my honest review. All opinions are 100% my own.